Leading Manufacturer of laxmi narayan moorti, marble laxmi narayan moorti, earth narsingh bhagwan murti, narsimha lakshmi statue and vishnu laxmi moortis from Jaipur. 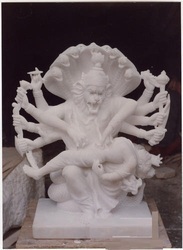 Marble moorti of Laxmi Narayan Moorti in makana marble. These statues are designed with elegance that delights the viewer. The beauty and exquisiteness of these statues makes it perfect for decorative and gifting purposes. These are highly aesthetic and appreciated for excellent finish. Keeping in mind the religious value, we have designed different forms of lord Marble Laxmi Narayan Moorti. 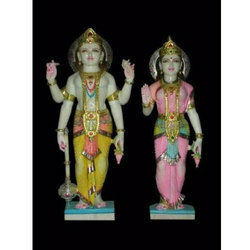 The colors are used in an attractive manner to give an eye catching look to these Statue. 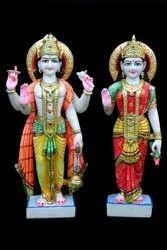 Our offered range of Earth Narsingh Bhagwan Murti religious idols & marble handicrafts are asked for widely and for this reason, we have established a strong position among competitors.